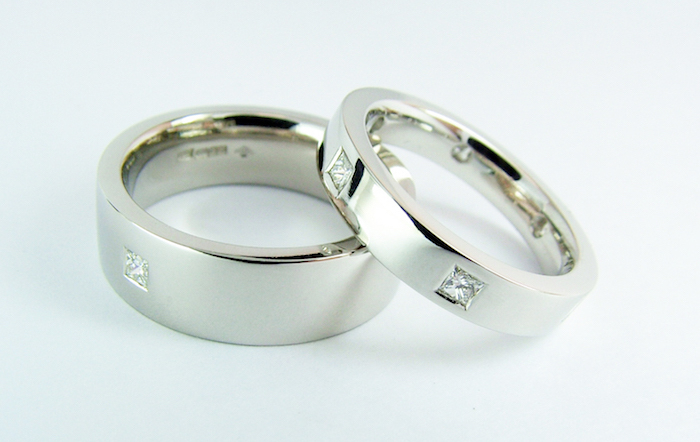 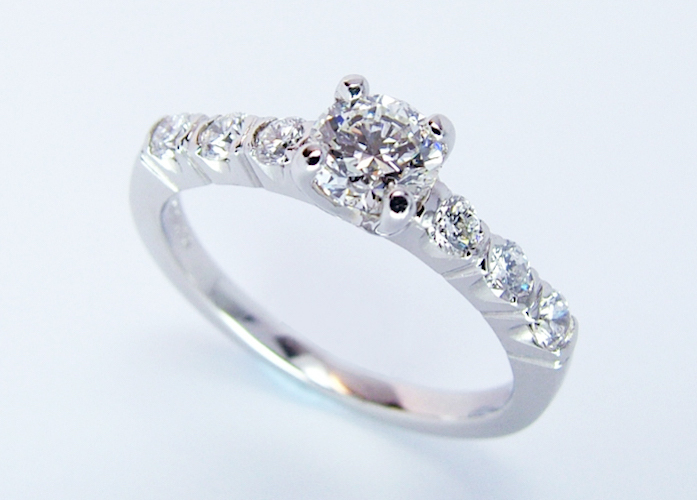 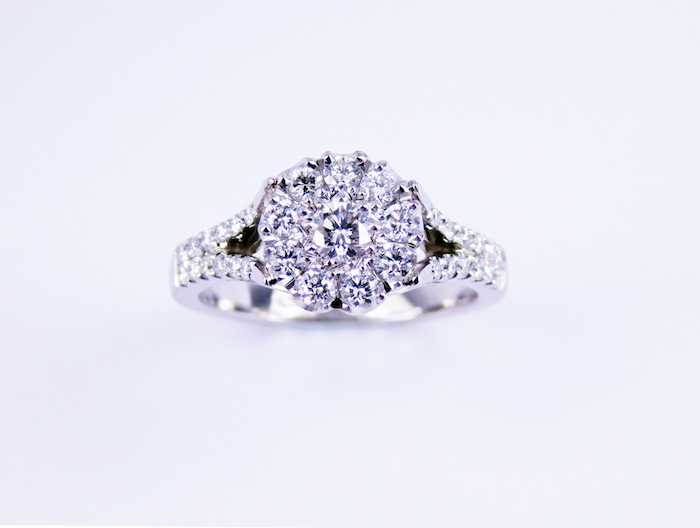 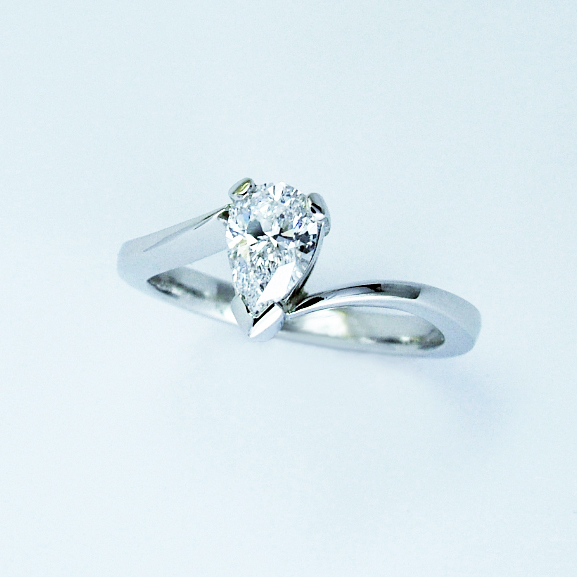 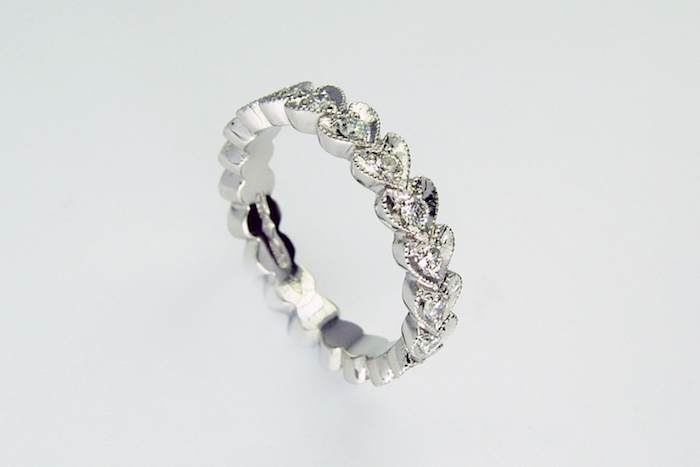 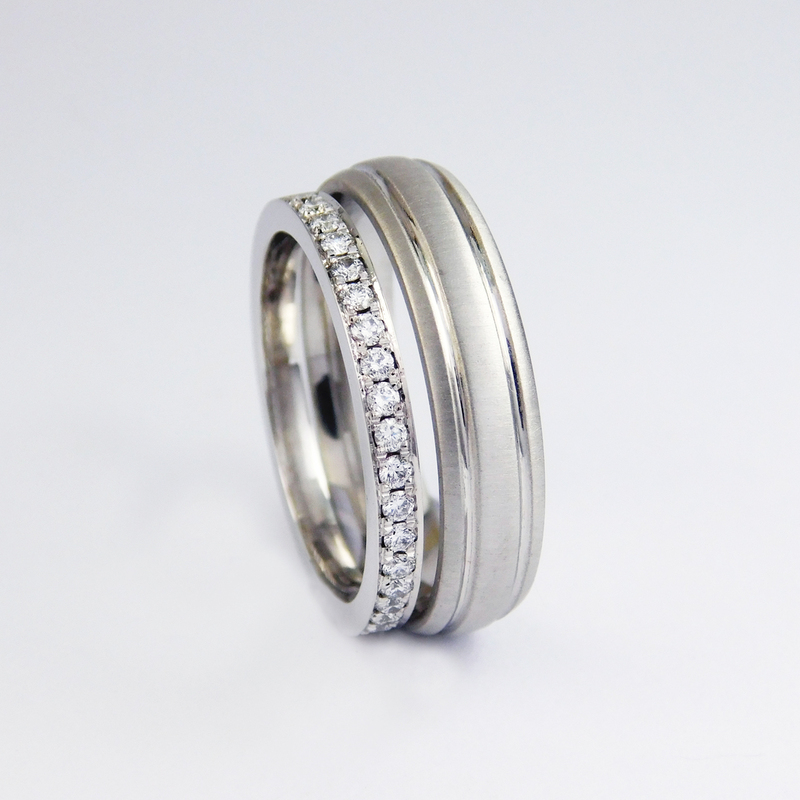 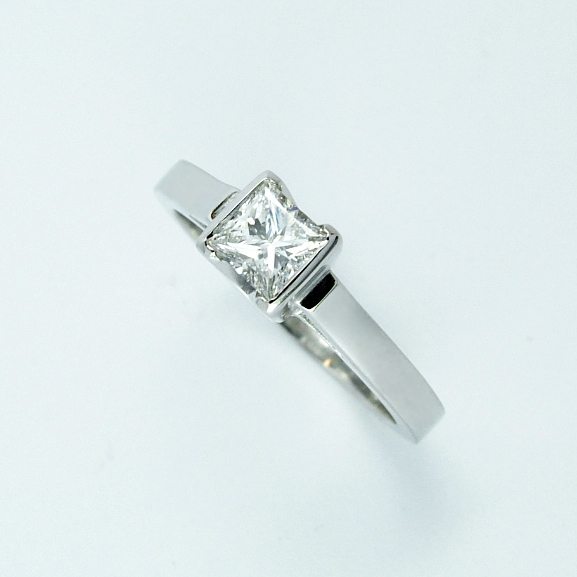 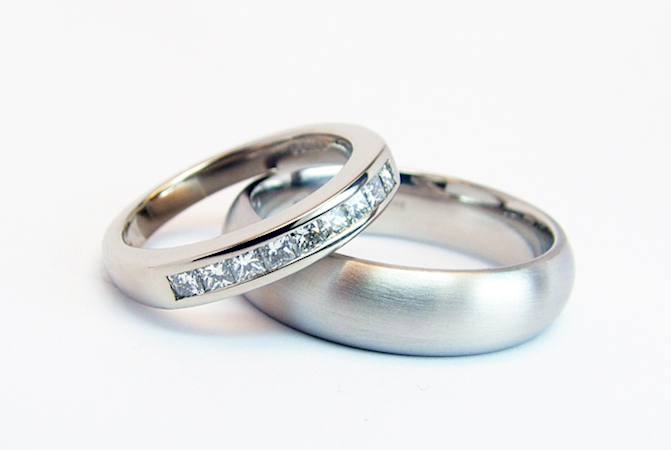 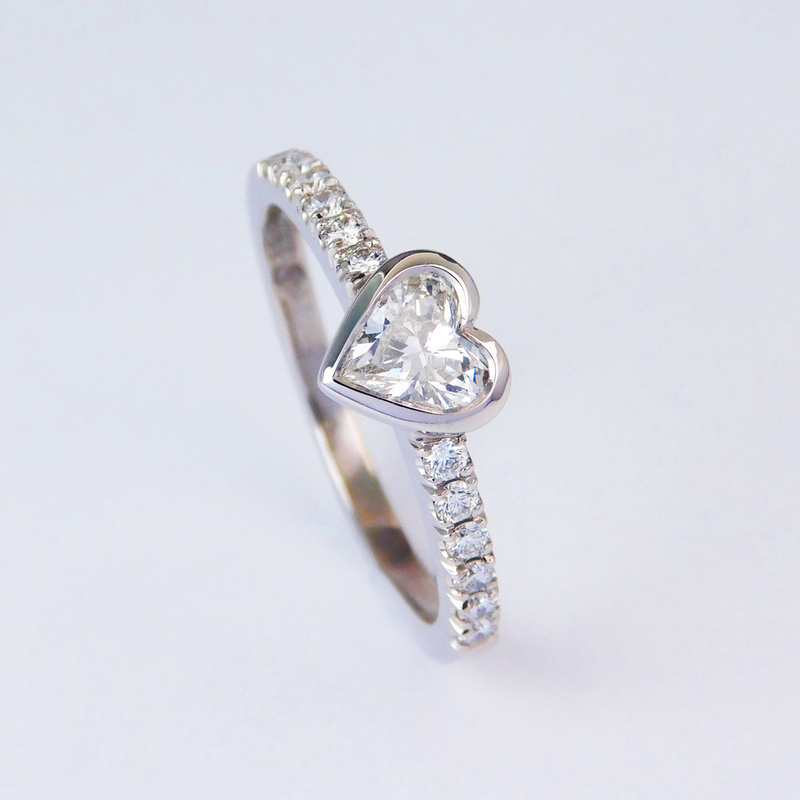 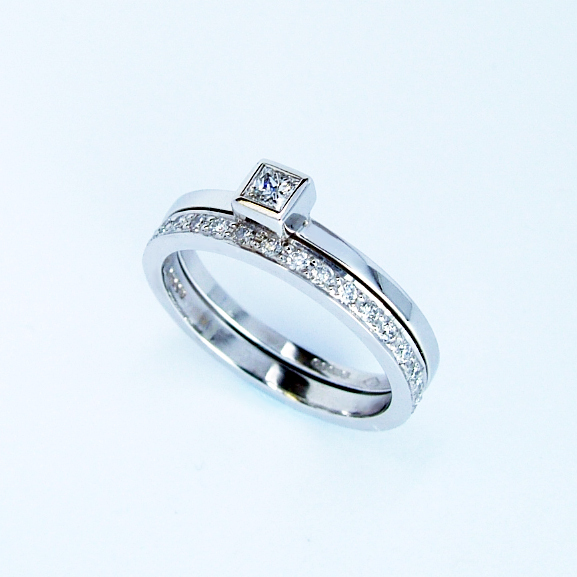 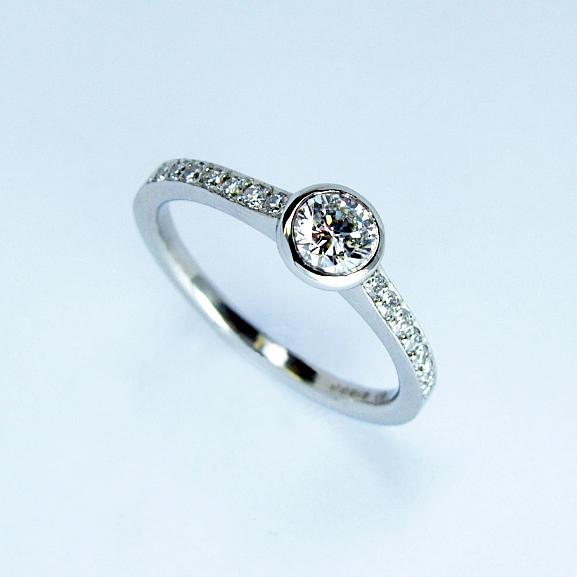 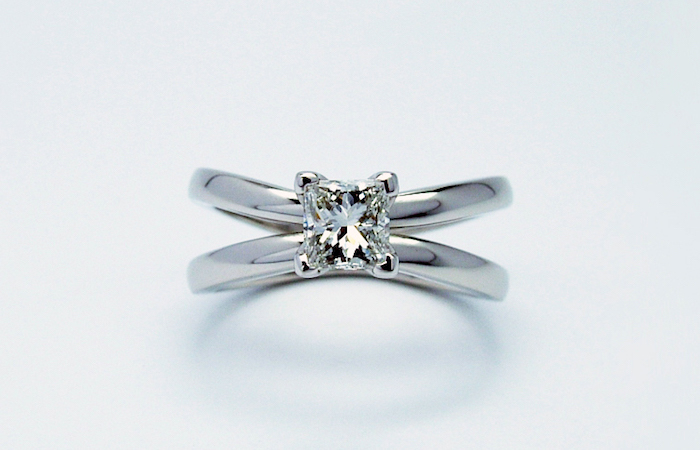 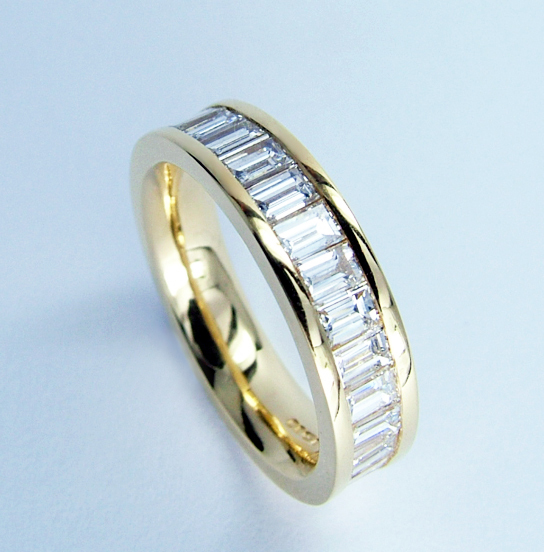 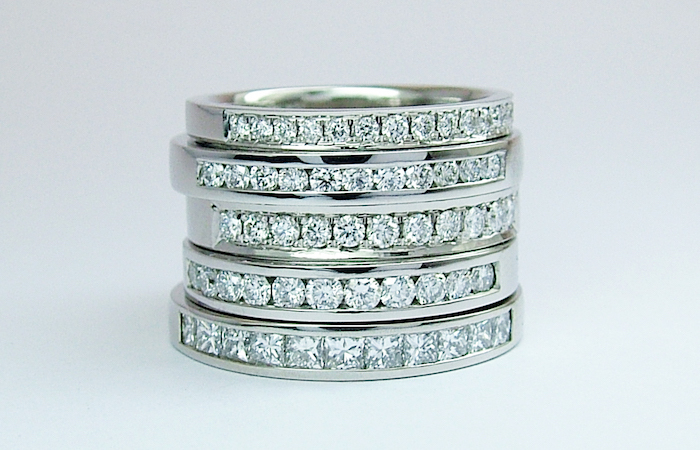 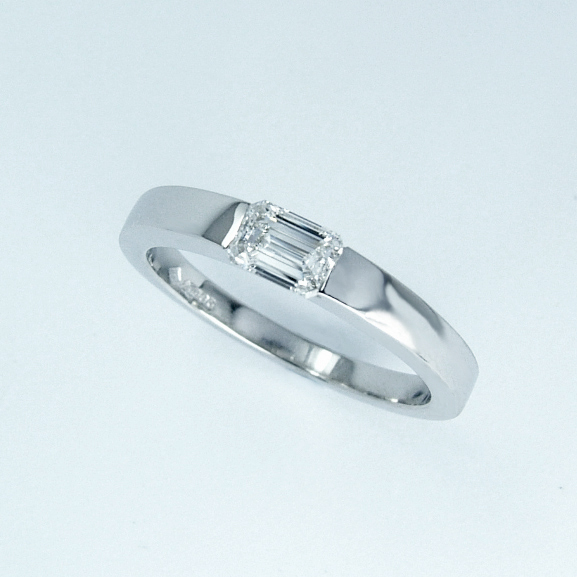 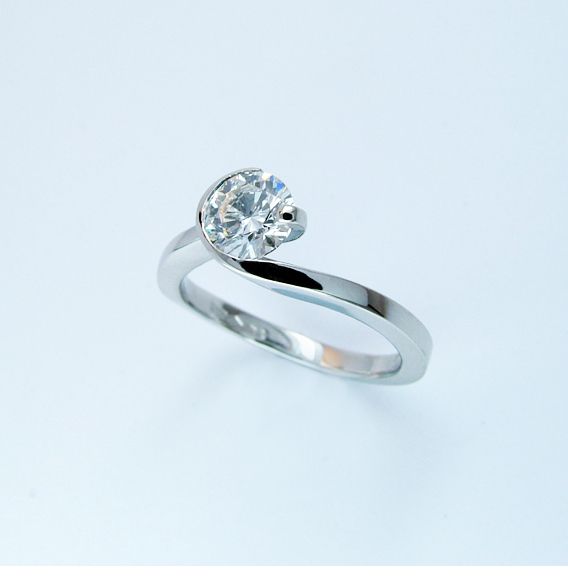 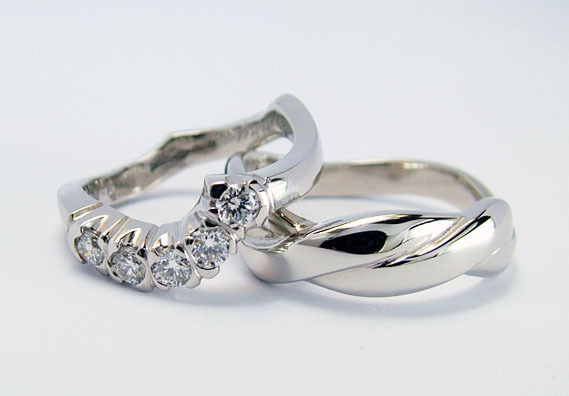 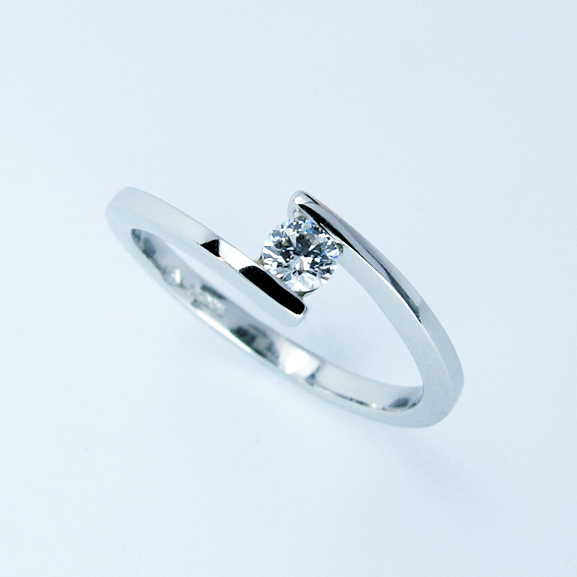 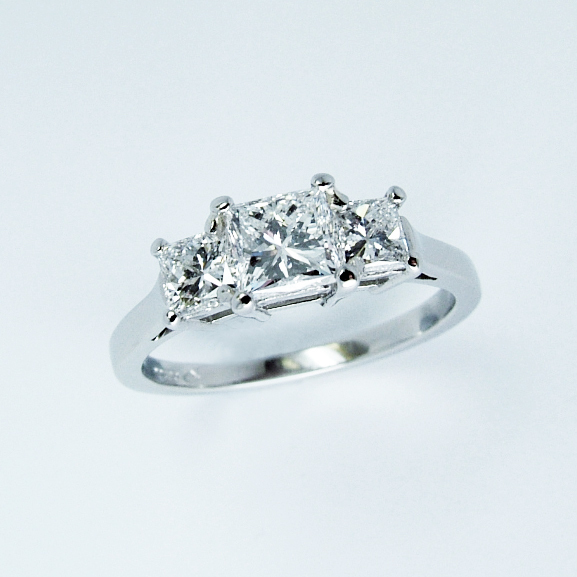 The Engagement Ring, Wedding Ring and Eternity Ring gallery showcases some of Jewelled’s handmade diamond rings. 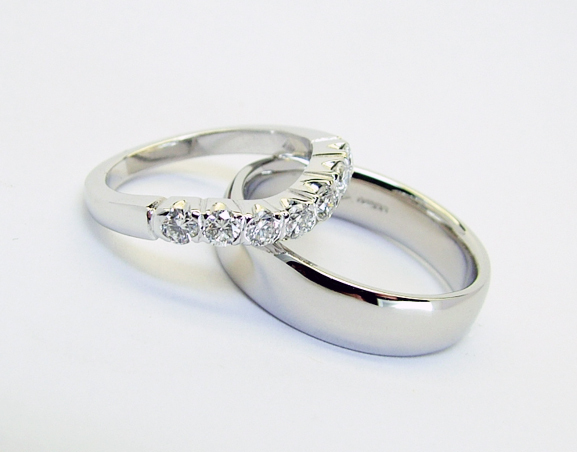 Using platinum, palladium and gold Jane and Nicola have created a beautifully elegant range of pretty diamond engagement rings. 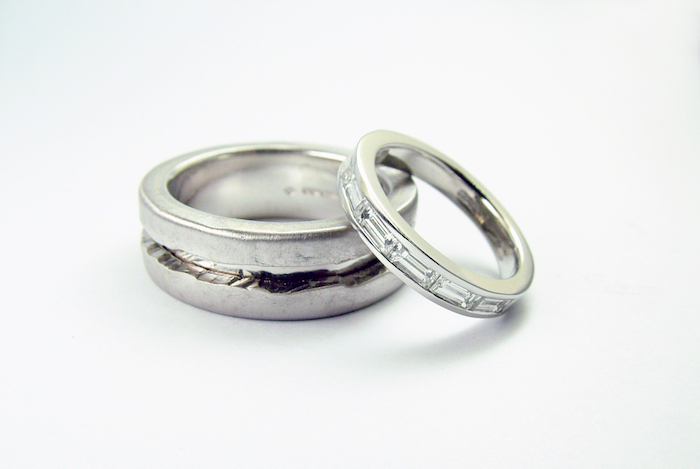 Each piece is unique......individually designed and handmade in the workshop on the premises. 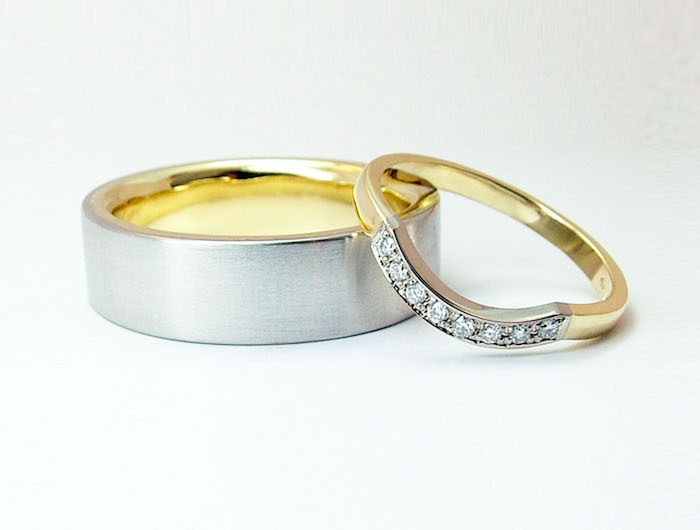 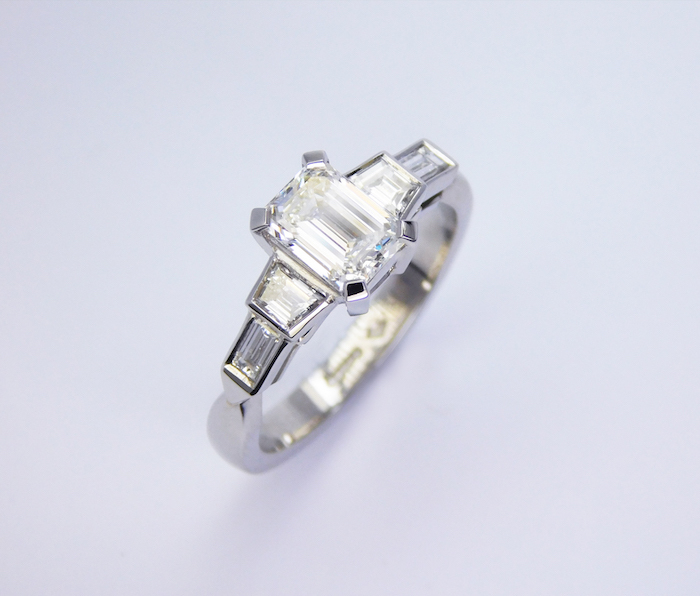 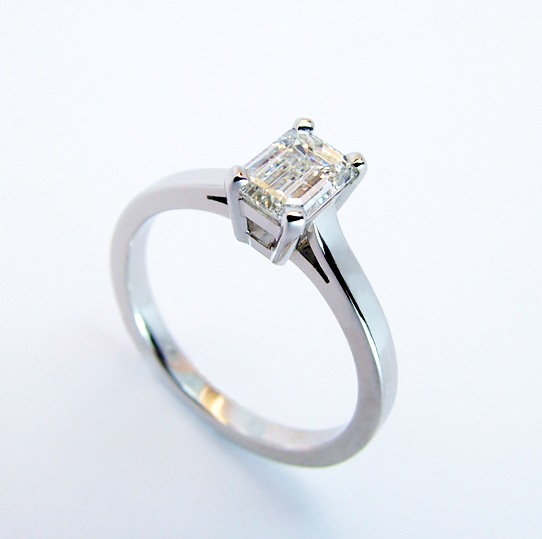 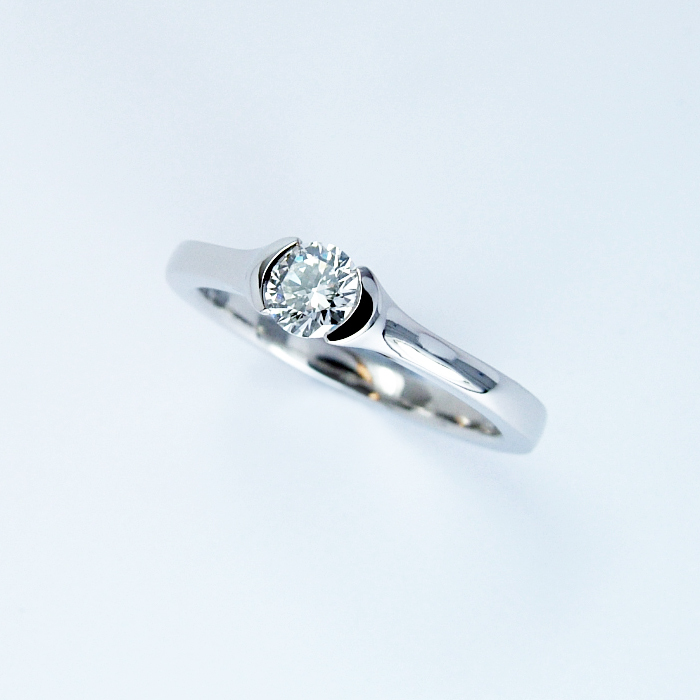 If you are considering proposing to your loved one, whether you wish it to be a surprise or would like to choose a ring together, the best thing to do is to call directly on 01483 869838 to arrange an initial appointment to discuss ideas and designs. 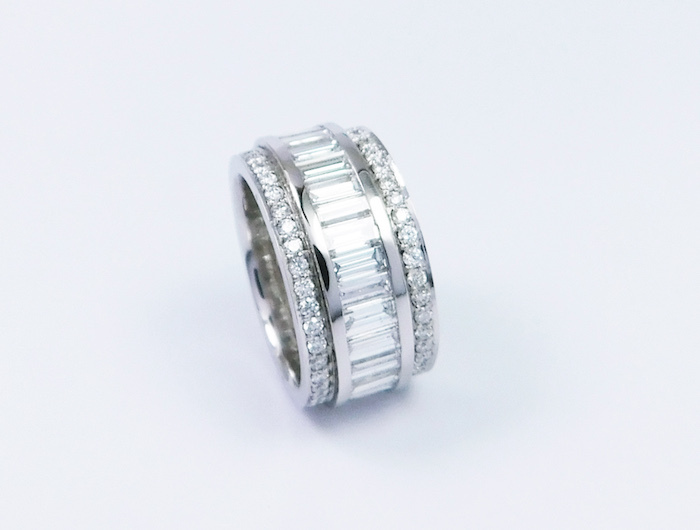 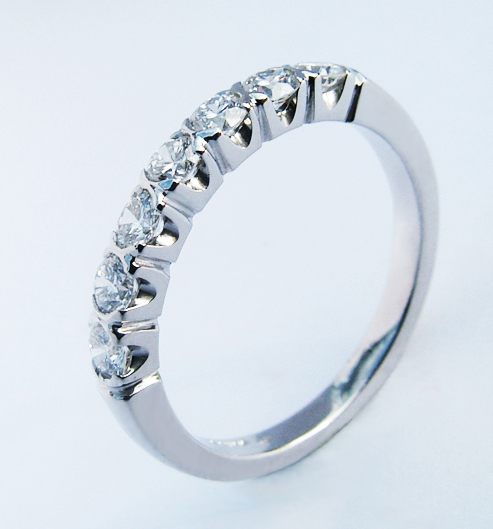 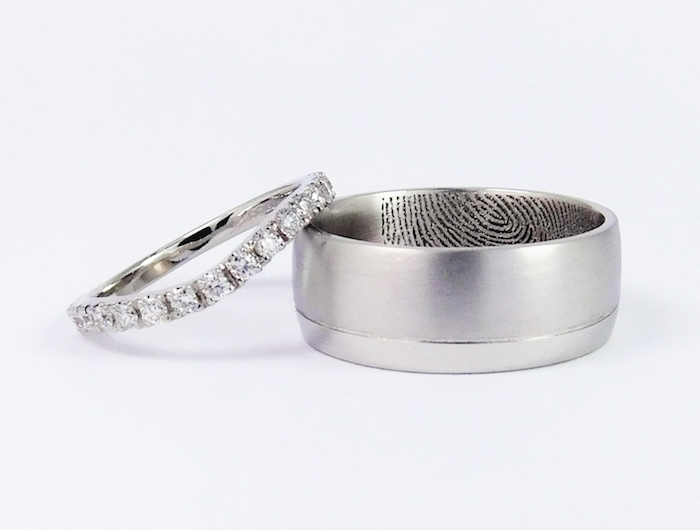 Palladium men's band & ladies 18ct pave set diamond band.